Meet Our Attorneys | Power Rogers & Smith, L.L.P. Meet The Legal Team At Power Rogers & Smith, L.L.P. When you hire the legal services of our top-notch Chicago injury law firm, you can relax knowing that our skills are unmatched throughout the pre-trial investigation, ongoing negotiations, trial preparation, and most importantly, the trial itself. Highly experienced and respected by colleagues, clients, and adversaries alike, our team of Illinois personal injury attorneys has recovered more than $4 billion for our clients, including record-setting verdicts and settlements. With Power Rogers & Smith, L.L.P. on your side, you're in good hands. 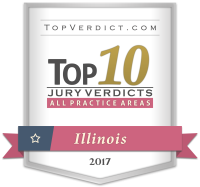 Our Illinois accident law attorneys have successfully handled numerous personal injury cases, winning multi-million dollar verdicts and settlements in personal injury, wrongful death & medical malpractice. Our team is proficient in Illinois accident law and procedure. We understand how the legal system works and how to make it work best for our clients. Highly sought after by clients, our Chicago law team cares about each and every client, making sure that the legal services our law firm delivers are unmatched. We are determined to always deliver the best results possible for our clients. You may be up against large corporations with money and resources, but with our Chicago personal injury attorneys on your side, you won't be at a disadvantage. Read our attorney bios to learn more about the members of our highly-rated team.